Indulge Boutique is a locally owned women's boutique in Eagan, MN. Indulge Boutique has been in operation for the past 12 years and is now under new ownership. 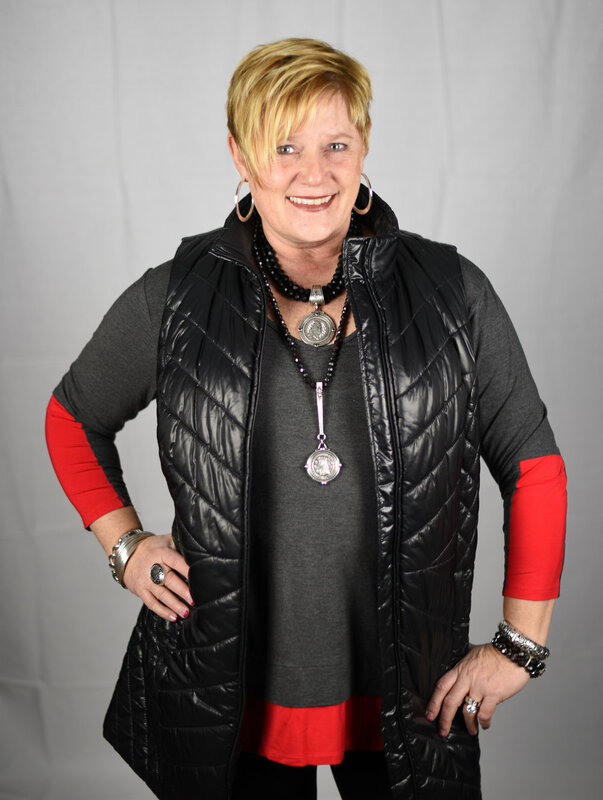 Susan Korkowski will continue to provide the same quality of service, flare for fashion, and desire to empower women by offering professional styles with a touch of creative flair. Many of the clothes are selected with versatility in mind: pair a blouse with the perfect jeans for girls’ night out or with a skirt for a busy day at the office. The goal is to capture the fashion-forward taste of today’s women while maintaining the comfort and ease of a busy lifestyle. You won’t have to worry about dozens of women competing with your look either. At Indulge, we purchase a maximum of six items of any one style. Susan has always had a love for fashion. Owning a boutique has been a life long goal of hers. Susan enjoys working with people and is excited to begin a new chapter in her life. She is excited to meet and greet her customers by name, learning their individual preferences and providing quality service to them.